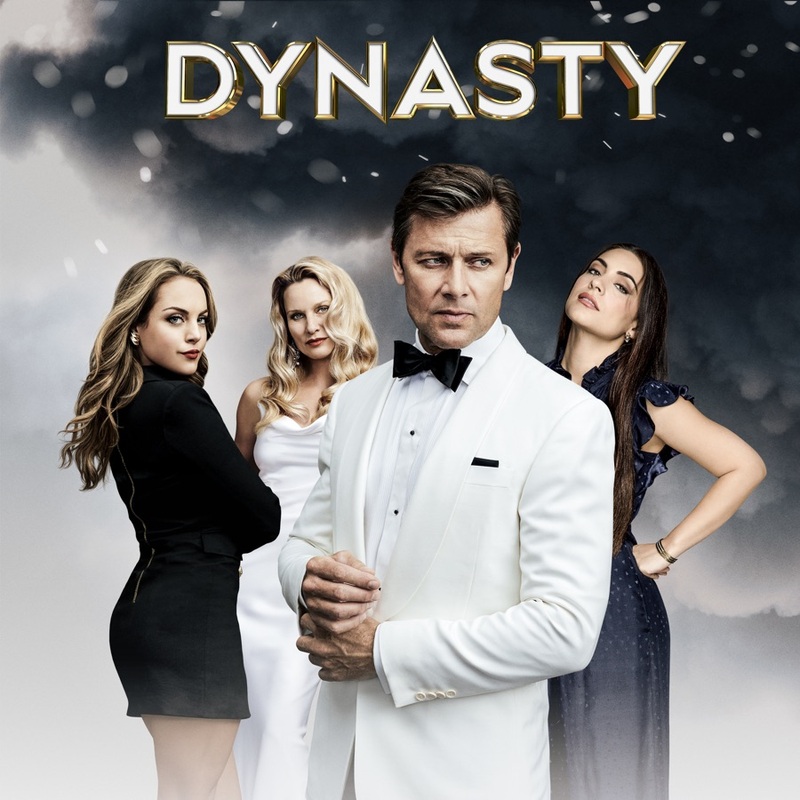 Dynasty, Season 2 wiki, synopsis, reviews - Movies Rankings! While Blake (Grant Show) focuses on his own selfish endeavors, Fallon (Elizabeth Gillies) goes to desperate measures to sell Carrington Atlantic to the Van Kirks. Sam (Rafael de la Fuente) and Alexis (Nicollette Sheridan) are determined to validate their suspicions about Melissa (guest start Kelly Rutherford). Meanwhile, Anders’ (Alan Dale) daughter Kirby (Maddison Brown) befriends the Colbys in order to seek revenge on Fallon to make her pay for the past. Fallon (Elizabeth Gillies) gets in over her head and needs Liam (guest star Adam Huber) and Culhane's (Robert Christopher Riley) help. Kirby (Maddison Brown) makes a shocking discovery that changes everything, while Blake (Grant Show) wines and dines a new guest (Ana Brenda Contreras). As the Carringtons track down a dangerous enemy on Christmas Eve, Fallon (Elizabeth Gillies) and Blake (Grant Show) clash on how to best handle the situation, stirring up unresolved grievances. Meanwhile, Cristal (Ana BrendaContreras) suspects Alexis (Nicollette Sheridan) may not be telling the whole truth to the authorities, and Kirby (Maddison Brown) is cast out by Anders (Alan Dale) for having an immature reaction to the grave situation at hand. In the wake of a horrific accident, Culhane desperately needs Fallon's help and protection; Blake shows no shame in using family to promote his own self-interest. Also, Cristal is reluctant to reveal a big development. Reeling from a series of emotional developments, Fallon (Elizabeth Gillies) decides to round up her gal pals for a restorative "girls' trip" to Idaho, but when the assembled squad arrives to the ski resort, Fallon's hidden agenda quickly reveals itself. Meanwhile, Blake (Grant Show) enlists Culhane's (Robert Christopher Riley) help in recruiting a star player to his new soccer team, and Alexis (Nicollette Sheridan) teams up with Sam (Rafael de la Fuente) to tackle their blues. Cristal (Ana Brenda Contreras) and Blake (Grant Show) have a surprise visitor show up who threatens to unravel their relationship, while Fallon (Elizabeth Gillies) goes to war with Culhane (Robert Christopher Riley) when he becomes a power player at Carrington Atlantic. Nicollette Sheridan, Rafael de la Fuente, Maddison Brown, Alan Dale and Sam Adegoke also star. While Fallon (Elizabeth Gillies) and Sam (Rafael De La Fuente) struggle to keep a secret from bubbling to the surface, their attempts are complicated by the arrival of a mysterious stranger. As Blake (Grant Show) is occupied up with familial matters, Cristal (Ana Brenda Contreras) teams up with Culhane (Robert Christopher Riley) to face a brewing crisis at the Atlantix soccer office. Fallon's (Elizabeth Gillies) acquisition of a new publishing company brings an unexpected person from her past into the fold, forcing her to deal with the emotional and financial ramifications. Meanwhile, Blake (Grant Show) is suspicious when a disgruntled Jeff (Sam Adegoke) shows up on the Atlantix doorstep, and Cristal (Ana Brenda Contreras) fears her old family will seek revenge on her new one.